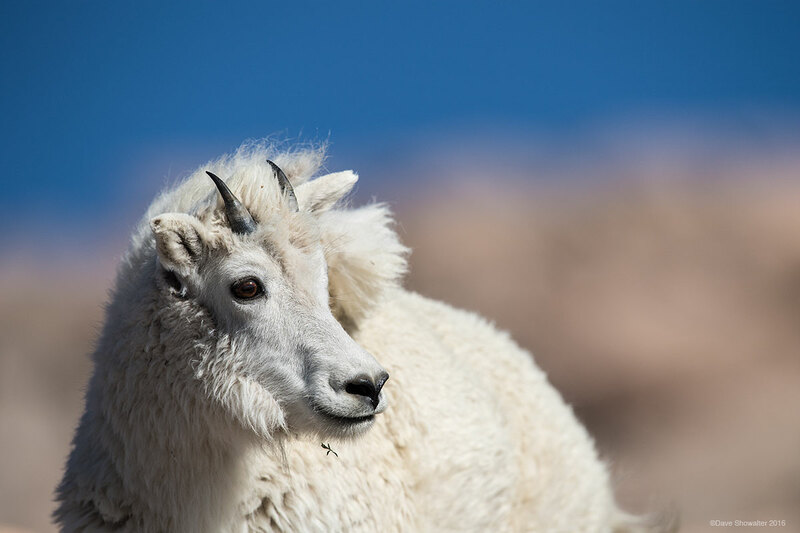 Of the mountain wind, a mountain goat catches warm morning light near Mount Evans' 14,271' summit. With the highest paved road in North America winding to near the mountain summit, Mount Evans is a great place to see mountain goats, bighorn sheep, and all of Colorado's high alpine species. Photo © copyright by Dave Showalter.